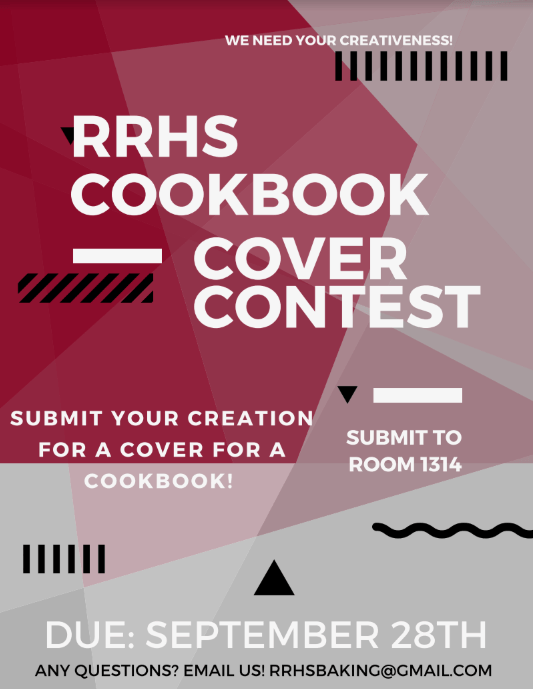 Enter a cover contest for the cookbook, and get your artwork on the cover! The only requirement is that it has to say “RRHS Cookbook – Edition 1”. The way you put that on there, and everything else is in the creativeness of the students! Please submit your designs to rrhsbaking@gmail.com, and they are due by midnight on September 28th! You can also email us if you have any questions!